Shopping for Star Wars Construction Toys? 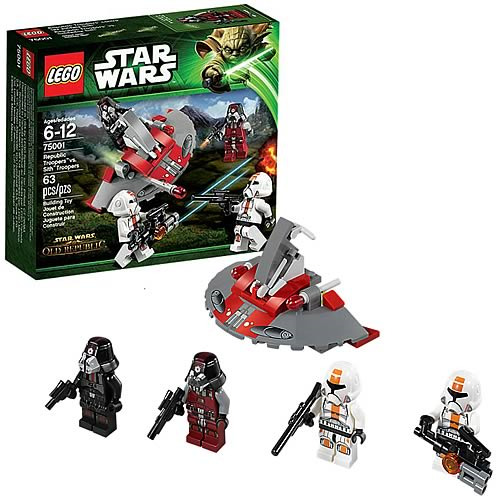 From The Old Republic comes LEGO Star Wars 75001 Republic Troopers vs Sith Troopers! Four armored figures plus weapons and a mini vehicle await you in this awesome little collection. Bring the PC MMO out of the computer and on to your desk with this amazing set. Ages 6 and older.